Saul E. Rudo is the national head of Katten's Transactional Tax Planning practice and a member of the firm's Board of Directors and Executive Committee. He concentrates his practice in the area of tax and corporate planning for private equity, venture capital, mergers and acquisitions (M&A), and international transactions, and in investment and management compensation arrangements. Saul's clients say that he "represents a fine choice for issuers, investors, bankers and trustees seeking representation" and that "One couldn't ask for a better business adviser" (Chambers USA). 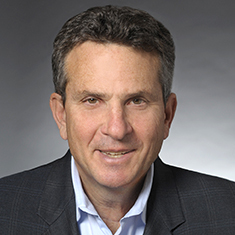 In more than 30 years at Katten, he has represented dozens of middle-market companies and private equity firms in mergers and acquisitions, dispositions, capital raising and management compensation arrangements. Saul is a prolific speaker and frequently lectures on topics including the use of LLCs in buyout transactions, alternative transaction structures, buying and selling businesses, the fundamentals of venture capital transactions and tax implications for investments in non-US companies. Shown below is a selection of Saul’s engagements.